The tagline of this website is "You are phenomenal. Live accordingly." But am I just trying to win friends? Make you feel good? Trademark™ a nifty slogan? To prove you're phenomenal, let's start by looking at your brain. It's fast. Astoundingly fast. And I'll bet you're not giving it the credit it deserves. How many neurons we have. How many cells each neuron connects to. Neurons are nerve cells that process and transmit electrochemical signals. Like a little lightning bolt transmitter/receiver/processor. The human brain has about 100 billion of them. 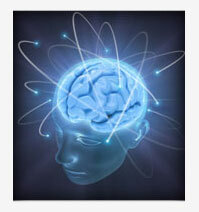 Each neurons fires (on average) about 200 times per second. And each neuron connects to about 1,000 other neurons. So... every time each neuron fires a signal, 1,000 other neurons get that information. 20 million billion bits of information move around your brain every second. How many bits does it take to shape a whole thought? Analyze a complex situation? Probably billions. We still haven't scratched the surface of how many neurons you've got. ... and 99+% of the work it's doing... you never even notice. And the best part of all... is that we're each in full control of where we direct its focus. What are you focusing your brain on? Funny how sometimes we forget just how phenomenal we really are. *Thanks to this article for the calculations. limitless possibilities to yet discover. A more interesting question, I think, is how much of this computational resource would we identify as being “us”, if we knew exactly what it did? And I wonder, given the inefficiencies inherent in evolution, if we built an AI that could completely understand – and optimize – a human brain .. how much would it be able to reduce that brain? A more depressing view of the human brain would be as an organ of massive computational power – and very much of it is going to waste because evolution possesses no _insight_. If we could ever truly understand, and improve our own brains .. I think that would be a more plausible Singularity than the technological one.